Designed to protect important paperwork and documents for your business, the Chubb Record Protection Cabinet has a fire protection of 2 hours. 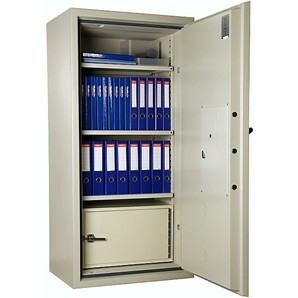 Available in 4 sizes this document fire safe has a cash rating of up to £1,500 to safeguard against both thieves and damage. For more information and additional help choosing the right Document Fire Safe for you call 0117 9674994 today.